Let's decorate your room with some new arrival carpet collection. This rug is made in 100% pure New Zealand wool. It has a beautiful color combination. This is in a traditional design pattern which contains bold booty motifs. - The perfect example of weavers hardship. Really very intricate design pattern. - This carpet is totally handwoven in pure New Zealand wool. New Zealand wool is 100% pure wool. 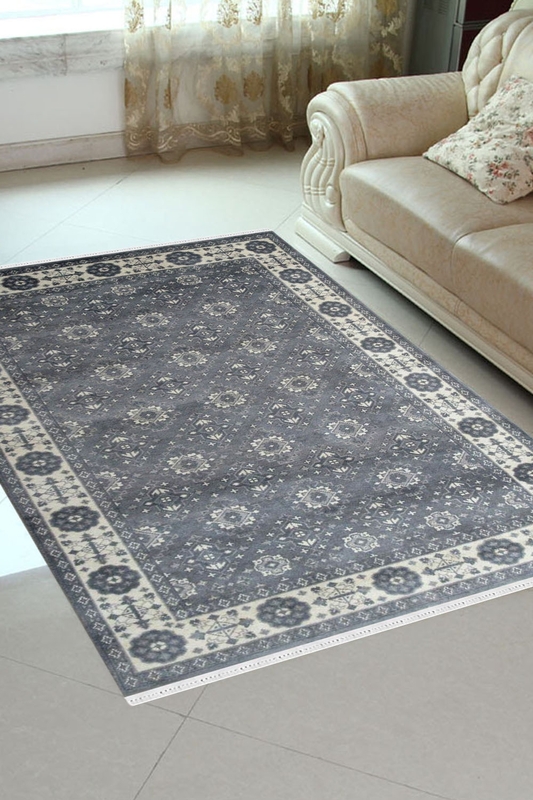 - If you want to add cozyness and warmth touch to your room then this carpet is exact the same as you want. - Now you can construct it in your sizes also. The main colors are white and grey.